Because homeowners are accustomed to seeing the floors in their homes day after day, they often don’t realize how dirt and grime gradually accumulate, diminishing the appearance of their floors. This case study is an exceptional example. 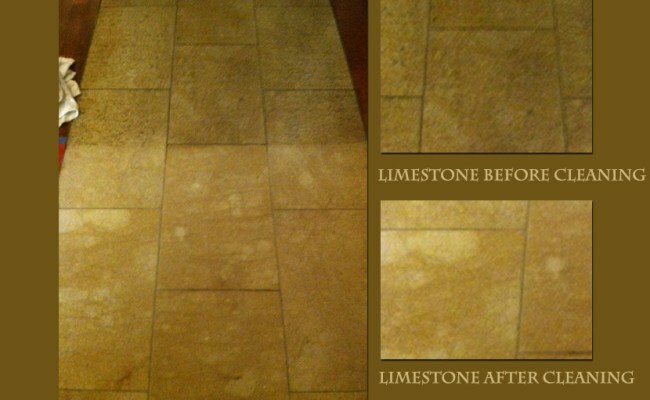 Our customers, Carmel Valley homeowners, tried cleaning their limestone floors themselves, but they were not satisfied with the results. So they called us. The professional stone restoration technicians at Set In Stone Restoration used high-quality equipment and cleaning solutions specially formulated to safely clean limestone to partially clean the limestone floor. The homeowners could not believe it when we showed them the very clear distinction between the cleaned and uncleaned areas, as you can see in the images. Of course, we finished cleaning the floor, and then we sealed the stone. Limestone floor sealing fills in the tiny holes or pores, so that dirt and grime can be more easily eliminated with regular cleaning. Limestone sealer also protects the floor from stains. If you live in the San Diego area and you are looking for professional limestone services, contact us online or call 619-246-0240 to discuss your needs.